First, thanks to Esther for last week’s blog and we wish her well with her competitions – we’ll obviously let you know about the winners when they’re announced. 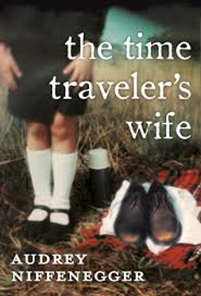 This week’s clip is an interview with Stephen King (who needs no introduction) and Audrey Niffenegger (author of The Time Traveller’s Wife, Her Fearful Symmetry and other novels). In it, they discuss their writing habits, their preferred environment and whether they listen to music while they write. 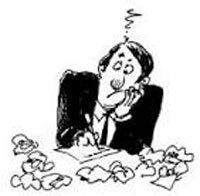 Writer’s Block – An Instant Cure! 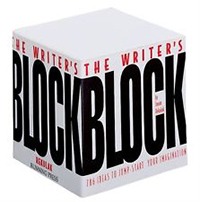 The idea of ‘Writer’s block’ sits hunched, but menacing at the back of many authors’ minds. ‘I might not have it now, but what if it strikes in the future?’ I hear you cry. We give good advice about overcoming writer’s block in the course but I think that what the following YouTube clip tells you is both concise and effective – it really makes sense. Comments Off on Writer’s Block – An Instant Cure! Want to be a writer? If it’s not happening for you – shift sideways! Comments Off on Want to be a writer? If it’s not happening for you – shift sideways!